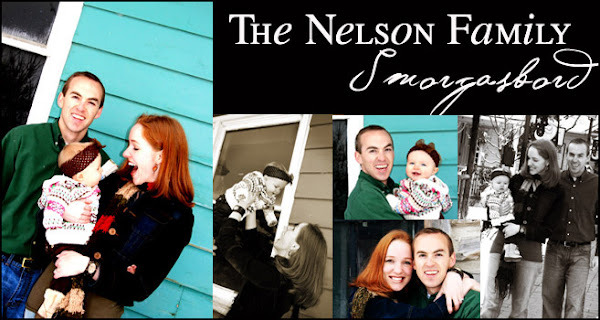 The Nelson Family Smorgasbord: "Sweet Nothing in My Ear"
Many of you know of my passion and great love for the Deaf culture and community. A few nights ago, Hallmark aired a new movie entitled, "Sweet Nothing in My Ear" with Deaf actress, Marlee Matlin and actor, Jeff Daniels. I have never seen a movie that offers more Deaf education, awareness and exposure to the Deaf community than this incredibly powerful production. Multiple Golden Globe Award winner Jeff Daniels and Academy Award and Golden Globe Award winner Marlee Matlin star in Sweet Nothing In My Ear, a new "Hallmark Hall of Fame" presentation about a married couple dealing with separate realities when their only child loses his ability to hear. Multiple Emmy Award-winner Joseph Sargent ("Miss Rose White," "Caroline" "Love Is Never Silent" all "Hallmark Hall of Fame" presentations) is the director. Laura and Dan Miller (Matlin, Daniels) have been happily married, as well as best friends, for many years, but their relationship begins to change when their only son, Adam (Noah Valencia), loses his hearing at the age of four. Laura, who is deaf herself, sees this occurrence as a minor problem, something that she has dealt with her whole life. Dan, on the other hand, at first agrees with her but starts to realize that, with surgery, his son could regain his hearing and live a more normal life. Tempers flare and frustrations mount as Dan investigates the surgery and its pros and cons. Laura is dead set against it and makes that very clear, even as Dan begins to favor the procedure for his child. Locked in their own worlds, the couple must find a way to mend their differences and make the best decision for Adam's future. to actually work somewhat successfully. It also costs anywhere from $75,000-$200,000for the surgery to be done. When hearing parents give birth to a child who is born Deaf or soon becomes Deaf, it is only natural for the majority to desire that their children have the "gift" of hearing. I can truly understand this perspective, particularly for parents who are not educated about the benefits of Sign Language and Deaf Cultural Immersion. However, almost any audiologist will make the option of "Cochlear Implants" the only option and the only way they will have a chance of being "normal" in life and obtaining a proper education. Without being too blunt, may I simply interject here.."THIS IS NOT TRUE!" There are Deaf scholars all over the world who have succeeded above and beyond the "hearing expectation", earning Masters and Doctorate Degrees from both Deaf and Mainstream Universities. In Washington D.C. there is an incredible Deaf University, Gallaudet University with thousands of successful scholars and teachers. The Deaf community would argue that when placed between two worlds, this only creates major identity battles and communication barriers. They also argue that parents should not be able to make a decision for their child until that child is old enough to make that decision themselves. Once a cochlear is implanted, it begins a lifetime of strenuous oral therapy and for some, a sudden and frightening world of sound. that this culture faces every day. It will be out on DVD May 15 in every Hallmark store! I really enjoyed this movie. Matt...probably didn't enjoy it as much because I talked through the whole thing. I am passionate about these issues as well, and I talked his ear off about the pros and cons and everything in between. It was awesome to see somethign that came so close to really explaning what Deaf Culture is all about. Kristin, It is so interesting to read different opinions on this issue. I think that it is a great opportunity that my neice has to be recieving her cochlear implant next month (My sister Tami's 2 year old daughter is profoundly deaf in both ears). Although she will still be a part of the "Deaf Community" because nothing will change the fact that she is deaf, she will be able to also have the ability to hear and interact with the majority of people around her. This is a sensitive issue and one that must be decided on a case by case basis. I'm excited to see this movie though and will share this information with my sister as well.